The 1,300-acre Philadelphia Energy Solutions refinery complex. 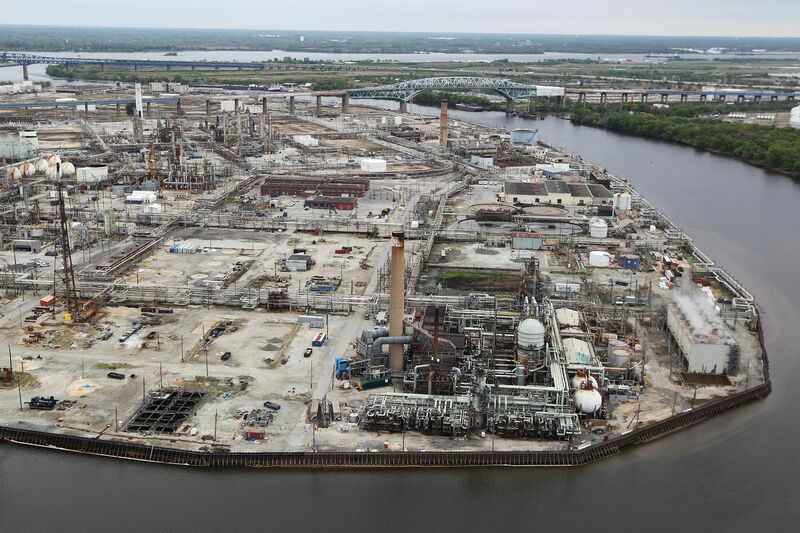 Two senior executives have departed Philadelphia Energy Solutions (PES) amid a broader management overhaul at the South Philadelphia refinery, less than a year after emerging from bankruptcy, Reuters reported on Wednesday. A spokeswoman for PES, owner of the largest and oldest refinery on the U.S. East Coast, confirmed that Thomas Scargle, president and chief operating officer, will retire and John Sadlowski, chief commercial officer, had chosen to leave PES. Refining veteran Mark Smith replaced Greg Gatta as chief executive following the bankruptcy, and Smith has reshuffled the executive team in recent months. A University of Pennsylvania report in September warned that the troubled South Philadelphia refinery complex may be shut down in the next few years and that the city should prepare to deal with a 1,300-acre industrial property fouled by more than a century of fuel production.